Neighborhood Fishin' is fun and easy. Stocked Lakes – with fish big enough to catch and eat! Text TPWD NF to 468-311 to get updates by text. Actual lake location: 30.039709, -95.413440. Local support from Timber Lane Utility District. Texas Parks and Wildlife stocks fish big enough to catch and keep except in August. Stocking takes place every two to four weeks during summer and winter seasons. There should be a good supply of fish whenever you find time to visit! Catfish prefer strong-smelling baits. Try using nightcrawlers, chicken livers, shrimp, stinkbait, or cut hot dogs. Catfish are stocked in most lakes late April through early November. Fish are not stocked in August because of the heat. Cheese, kernel corn, nightcrawlers, red wigglers, and meal worms make good trout baits. If you’d rather use a lure, try a small inline spinnerbait or a spoon. Rainbow trout prefer cold water and they survive only during winter in most parts of Texas. Trout stocking begins in late November or early December and continues until March. Starter fishing gear can be purchased from many local retailers for as little as $30. Buy online now - no waiting! 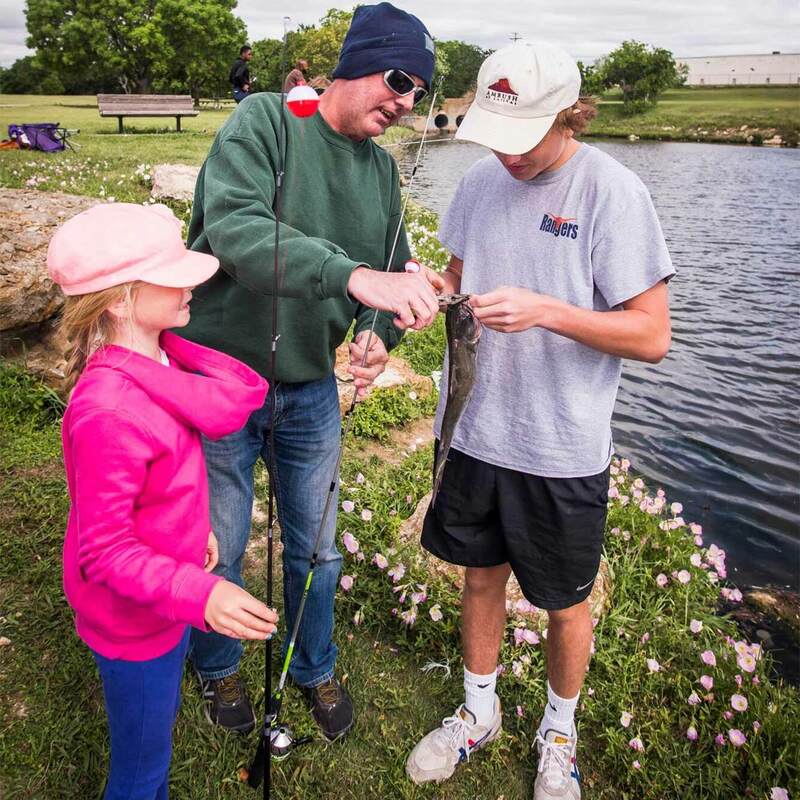 Kids under 17 fish free, and adult licenses start as low as $11 (one day, all-water). Find a retailer to buy a starter fishing kit or buy your license in person. Learn to fish using easy videos or help teach fishing with these free, fun, hands-on trainings! Learn to Fish using these easy videos with the basics. 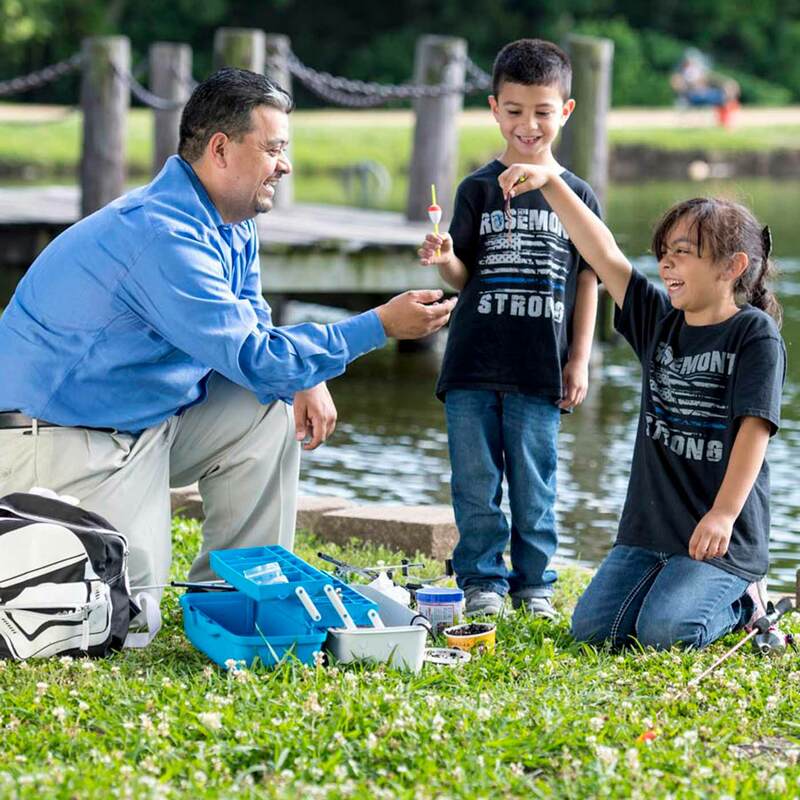 Teach Fishing help teach fishing with these free, fun, hands-on trainings! Fishing Rules for gear limits and bag limits on these lakes. The following regulations apply to Neighborhood Fishin' lakes. They are also available on a handy wallet card. Kids under 17 fish for free. Adults need a fishing license with freshwater stamp. Find out where fishing licenses are sold in your neighborhood. Fish with pole and line only. This means a rod & reel, fly rod, or cane pole. No more than two fishing poles per person. 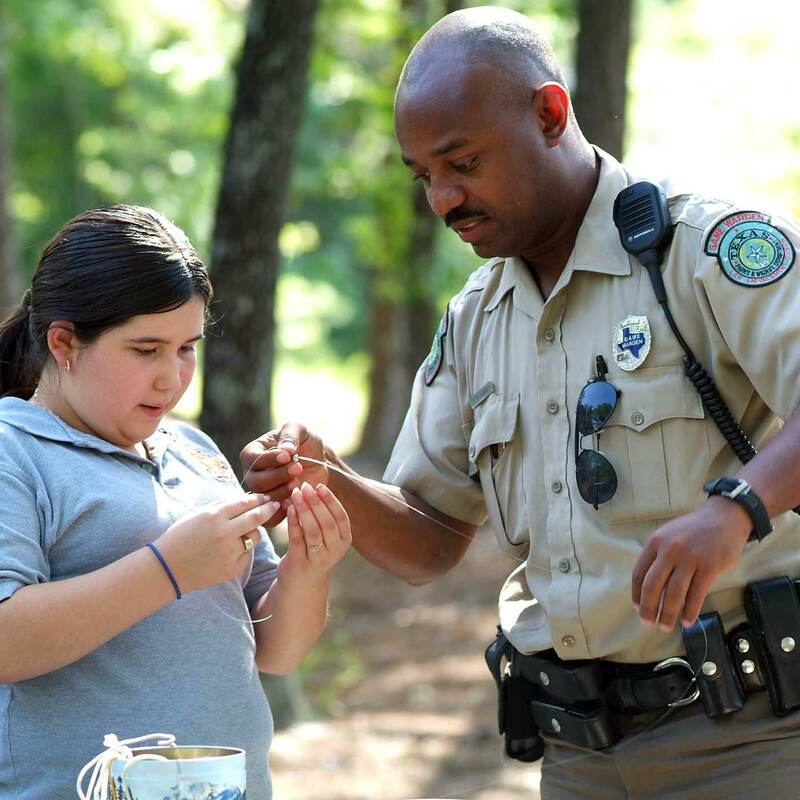 Trotlines, jug lines, fish traps, seines, cast nets, bows and spears are not allowed in Neighborhood Fishin' lakes. Each person fishing is entitled to his own daily bag limit. For bag and size limits on other species, see our summary of fishing regulations.